Another helpful reference for every newbie designers and wordpress theme developers that we are going to feature right now are WordPress cheat sheets. These cheat sheets are set of notes that provide simple, brief instructions particularly for creating or modifying a WordPress design. 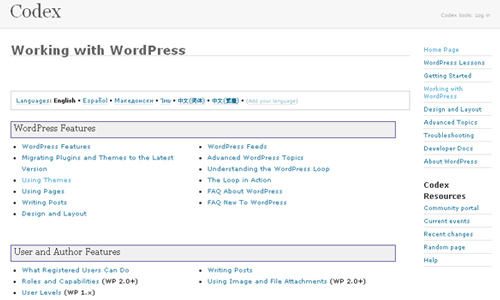 They are very useful especially if you are going to start on working with wordpress. If you are a WordPress fanatic then this post is for you because we have gathered together those WordPress cheat sheets that are not outdated, finished or not too complicated. If you don’t need these cheat sheets for now then just bookmark each of them for future reference. 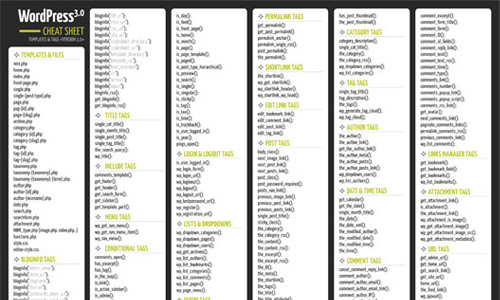 Here are the 15 Worth Downloading WordPress Cheat Sheets. If we are missing a cheat sheet then feel free to share it to our readers in the comments section below. Enjoy! 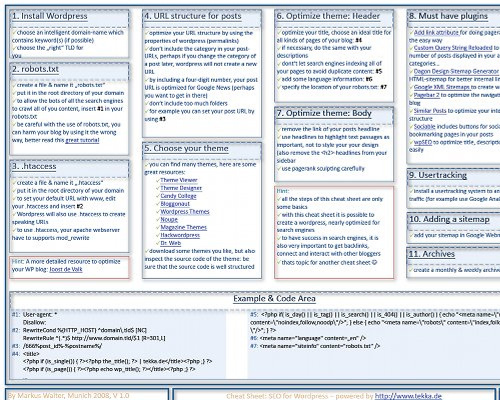 A cheat sheet intended for Search Engine Optimization specifically for creating an optimized WordPress blog which can be downloaded in PDF version. In this cheat sheet, you can find WordPress tags, tips and tricks which is available to view online and no need to download a PDF. 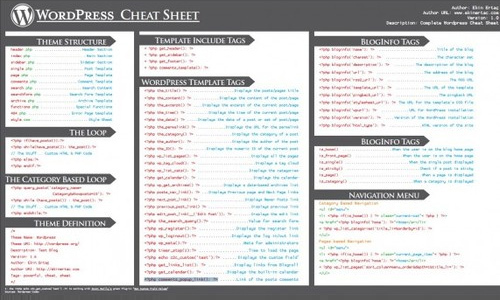 This WordPress Cheat Sheet was created by Ekin Ertac that lists the available template tags and what they do and is available in pdf file format. 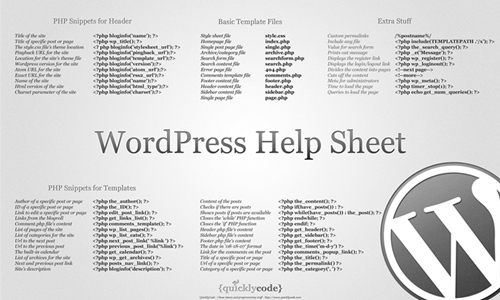 The WordPress Cheat Sheets can be very helpful for every WordPress user as it lists Basic Template Files, PHP Snippets for the Header, PHP Snippets for the Templates, Extra Stuff for WordPress, based on WPCandy WordPress Help Sheet. 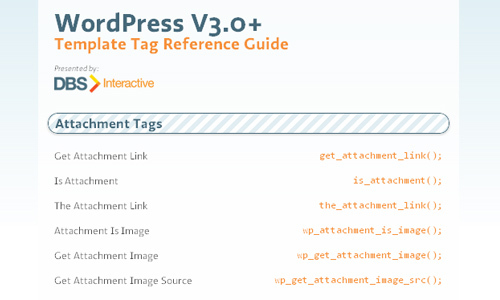 WordPress V3.0+ Template Tag Reference Guide is a reference guide which offers the developer an easy and quick way to checks if an attachment is being displayed. 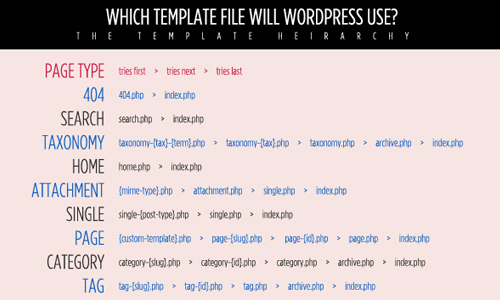 WordPress 3 Template Hierarchy should be looked at if you are interested in all the in’s and outs of WordPress. 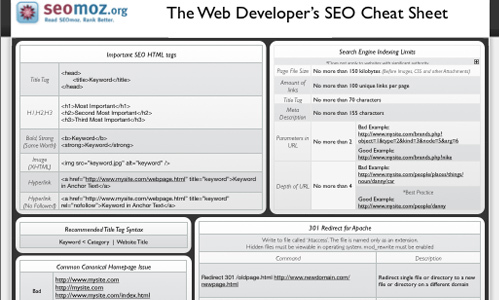 The Web Developer’s SEO Cheat Sheet is brought to you by Danny Dover @ SEOMoz.org which includes tips on how to optimize your site for search. It is another useful cheatsheet available for you to download. 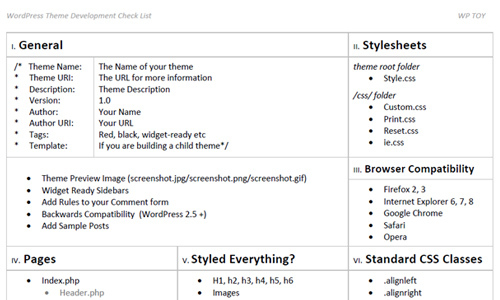 A simple yet effective PDF version of the checklist for the WordPress which includes many small tips, code snippets and checkpoints you usually forget. 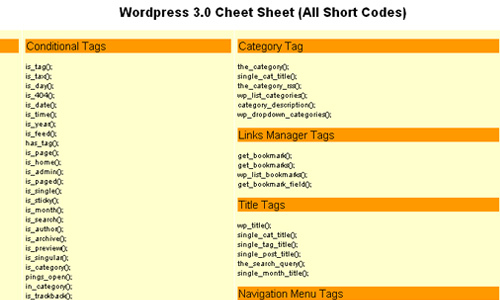 Wordpress 3.0 Cheet Sheet will help you learn coding as it covers those short codes for WordPress 3.0. 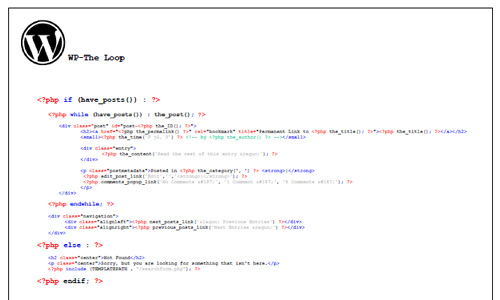 WP – The Loop is another cheatsheet for wordpress developers. hpv24 WordPress 3.0 Cheat Sheet is one of the best WP 3.0 cheat sheets on the web. 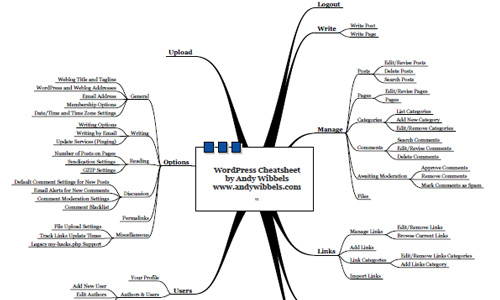 WordPress Cheatsheet v1 is a downloadable cheatsheet in PDF file format. 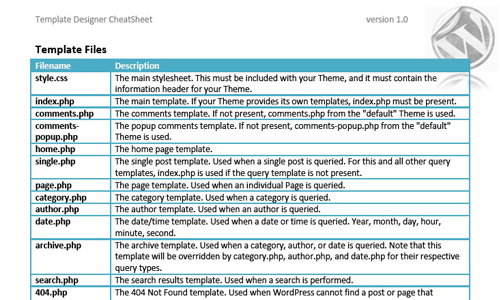 WP Plugin API Cheat Sheet is one of the best cheat sheets for creating the WordPress themes and plugins. 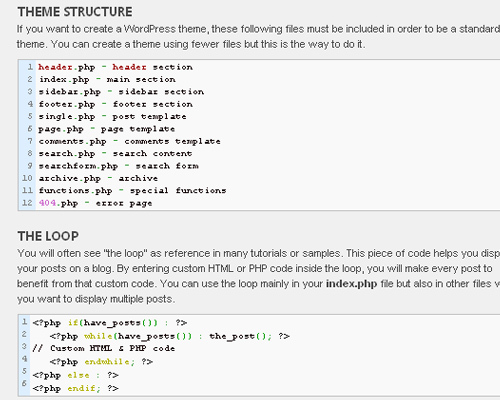 WordPress Theme Cheat Sheet (7 pages) includes Template Files, Include Template Functions, The Loop, Template Hierarchy, Template Examples, Template Functions, Links. Will tell my friends that this site is all in one.